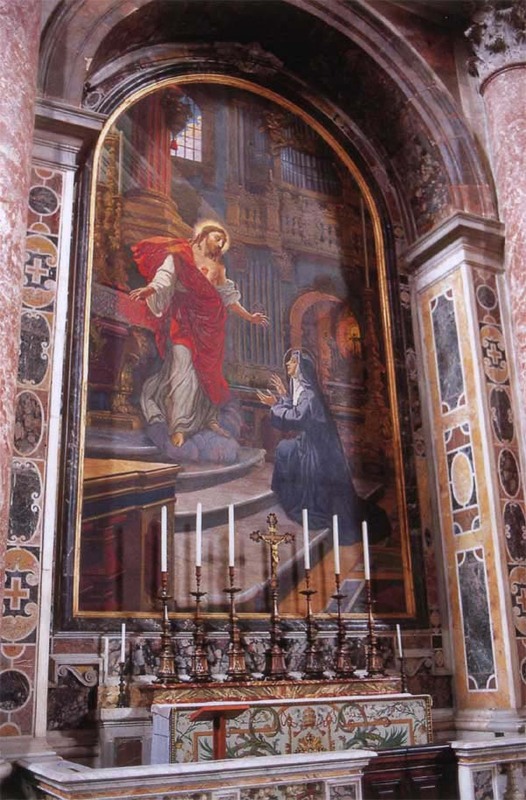 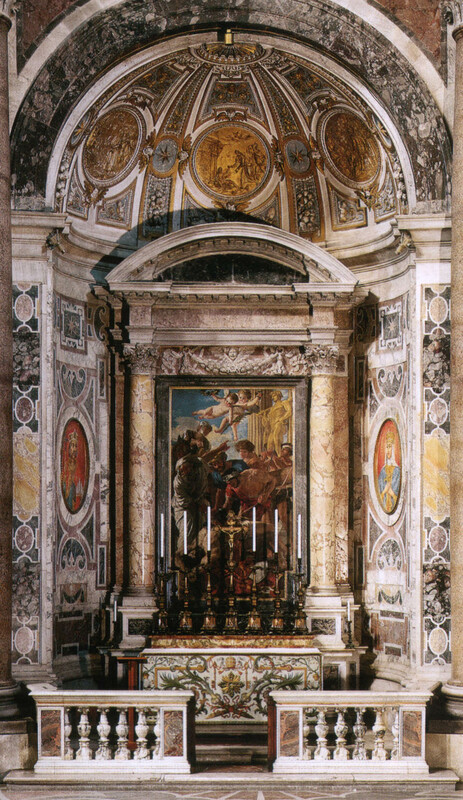 The Altar of Our Lady of the Column is an image of the Blessed Virgin that had been painted on a column of porta santa marble, which was part of the central nave of the Old Basilica. 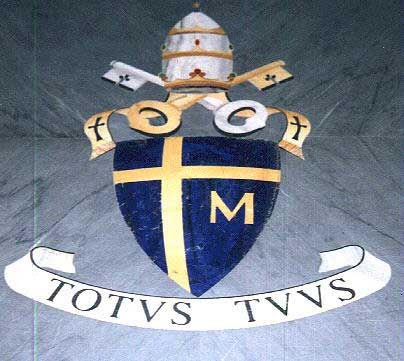 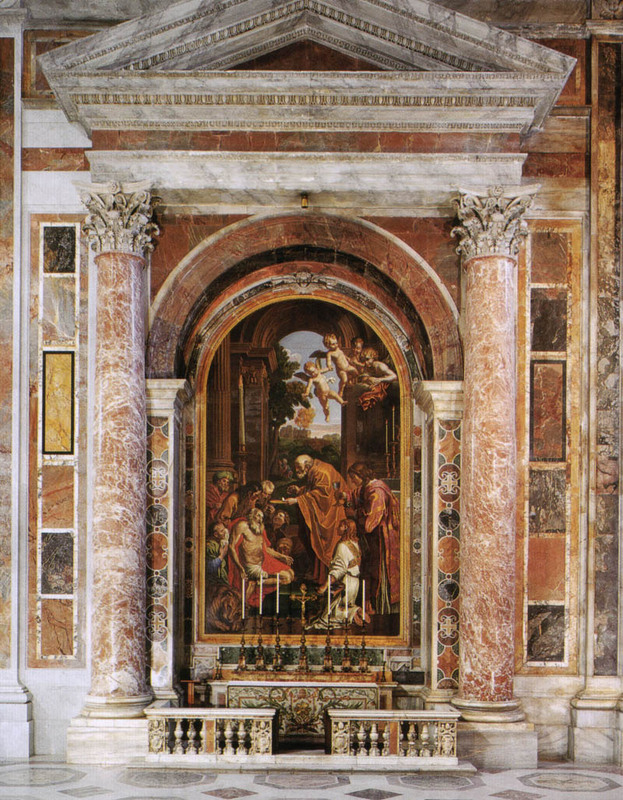 After Vatican II, Paul VI honored it with title of "Mater Ecclesiae", and in 1981, Pope John Paul II had a mosaic reproduction of it affixed to the external wall of the Apostolic Palace, facing the square. 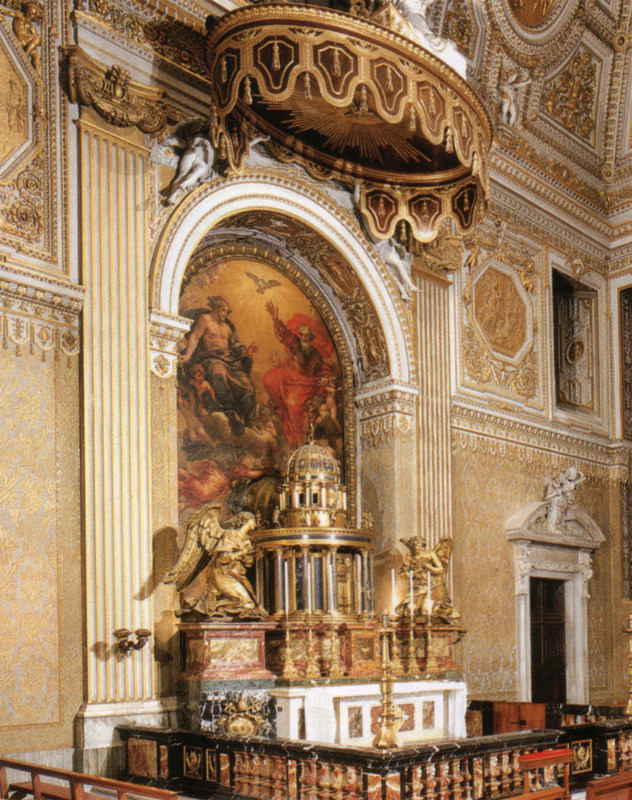 On the left is the Altar of Our Lady of the Column called after the image of the Blessed Virgin painted on a column from the old basilica. 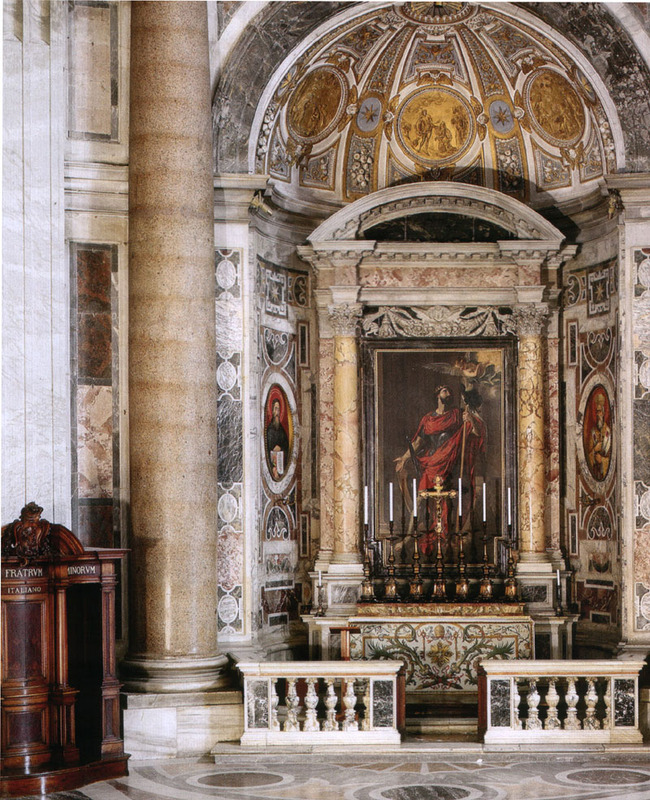 In 1607 it was placed on this altar designed by Giacomo Della Porta, framed by the finest marbles and precious alabaster columns. 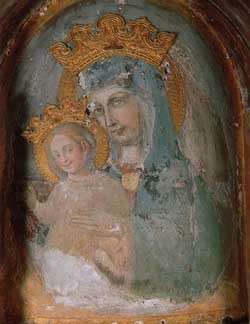 After the Second Vatican Council, Paul VI honored it with the title of "Mater Ecclesiae". 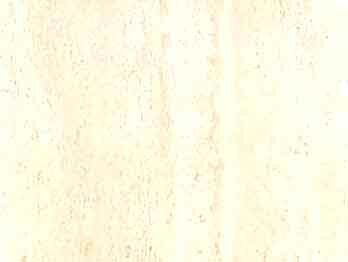 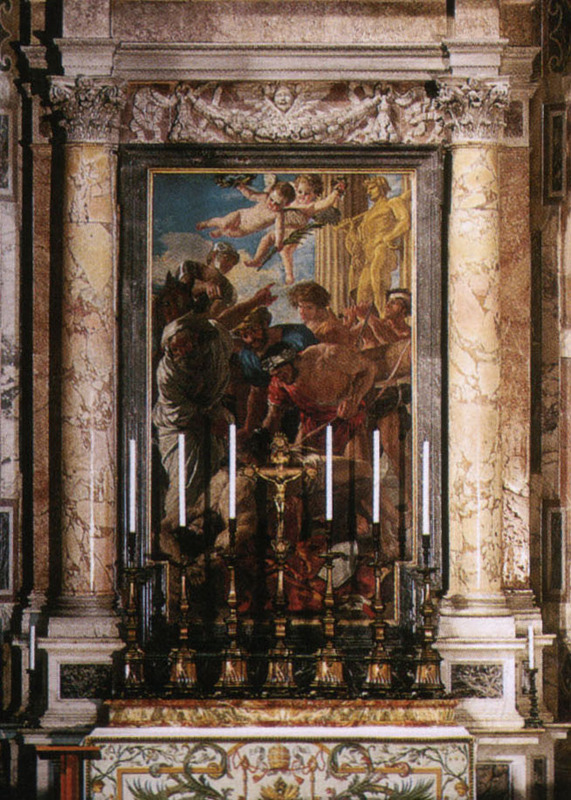 In 1981 John Paul II had a mosaic reproduction of it set on the external wall of the palazzo facing St. Peter's Square, where it can also be seen illuminated at night. 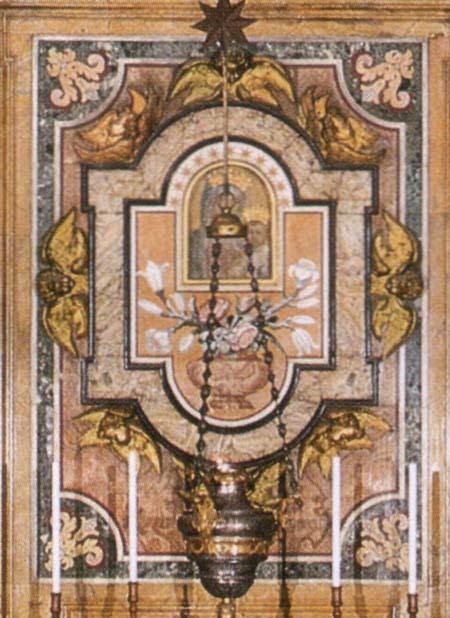 The image, in a marble frame, is by Della Porta and dates 1581. 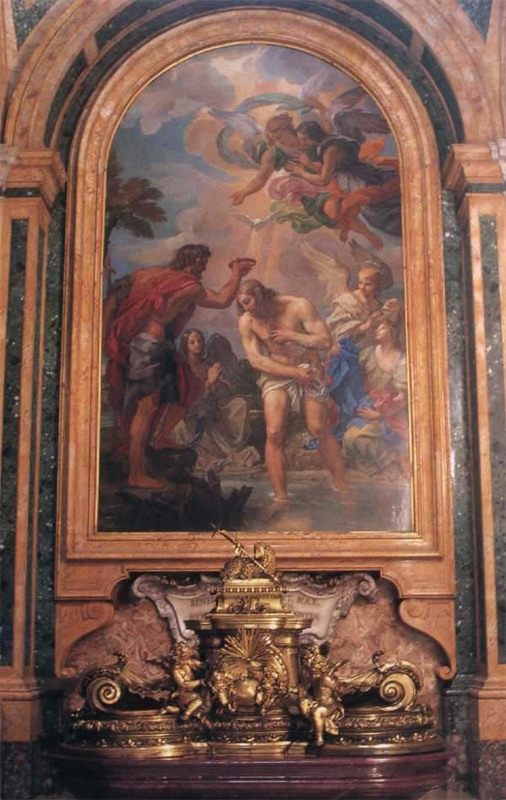 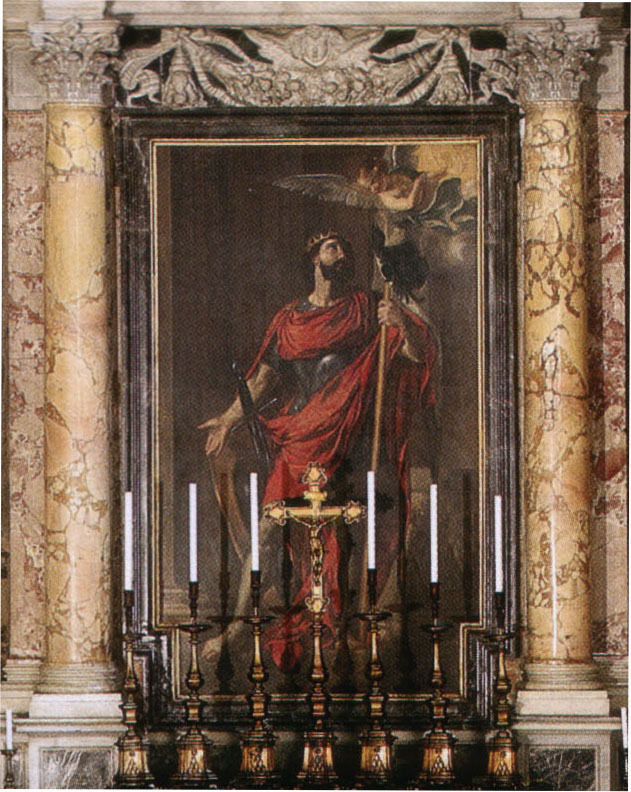 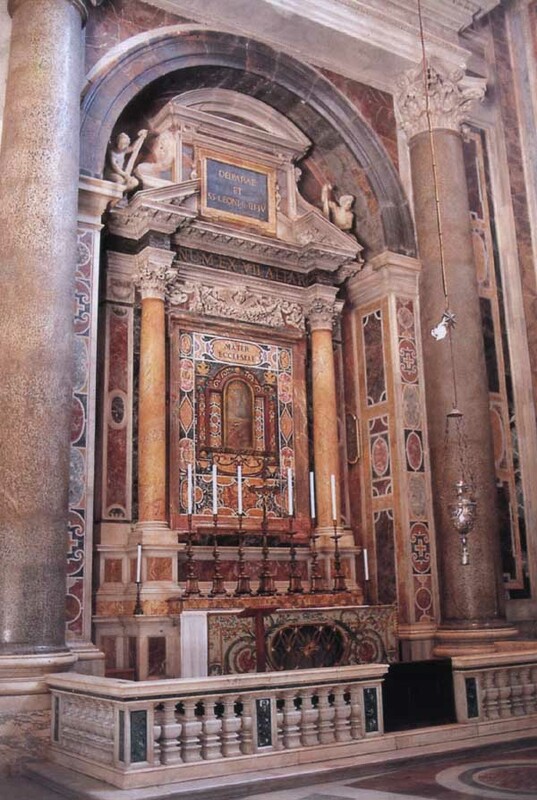 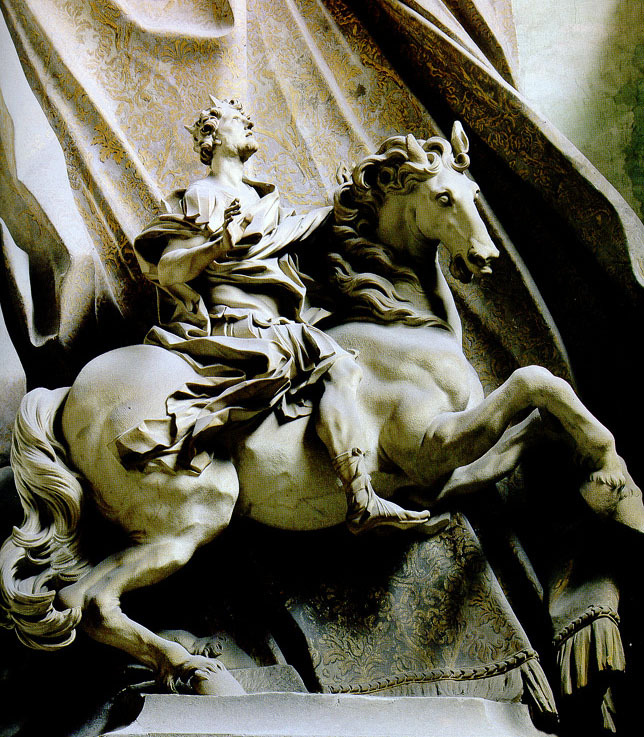 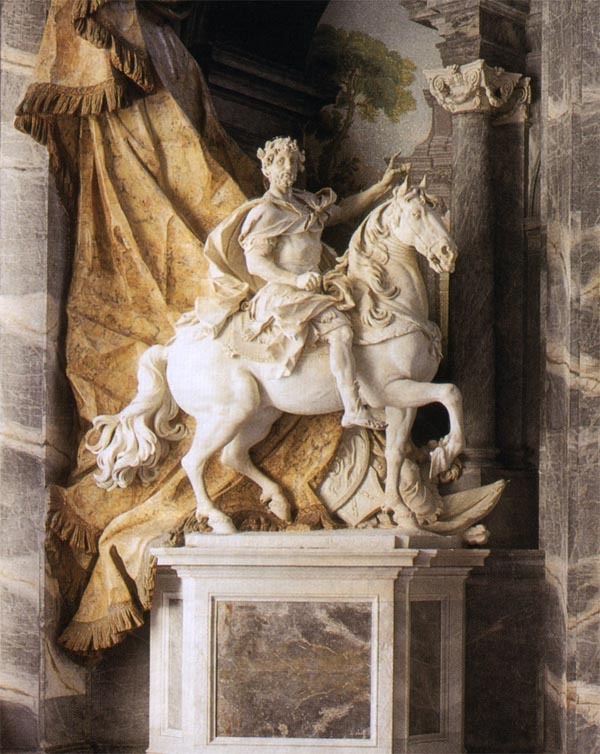 Paul V moved it to this altar in 1607 and it was crowned in 1645 by the Capitolo Vaticano. 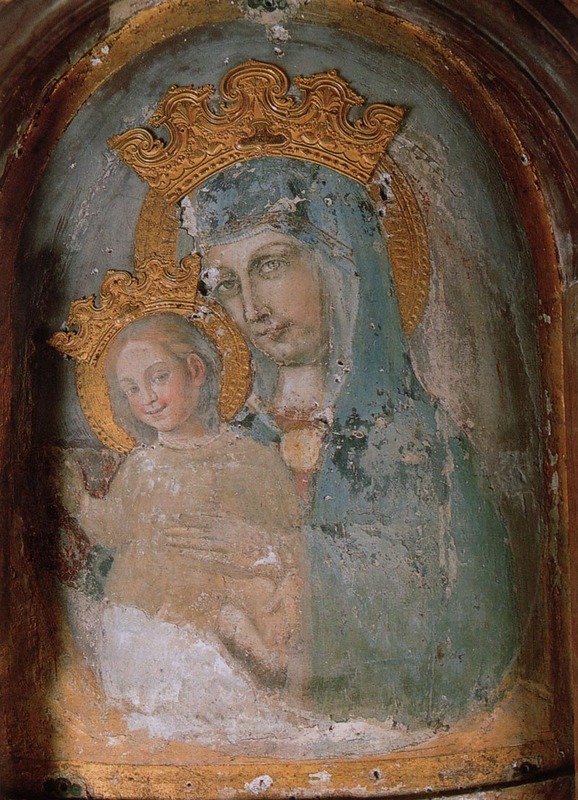 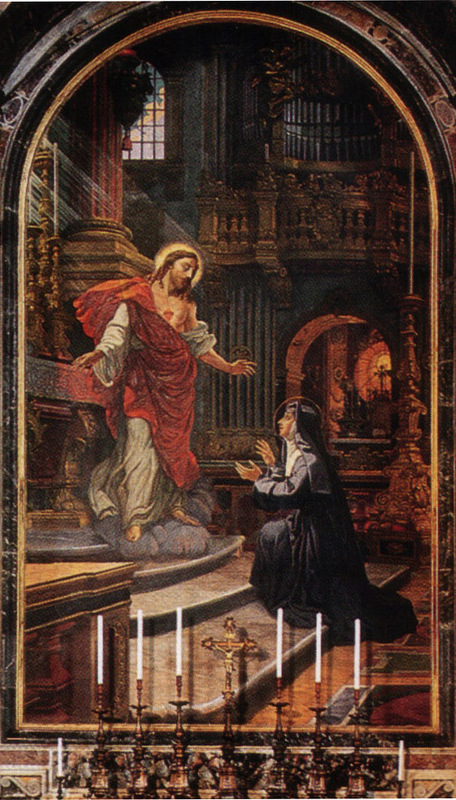 On 21st November 1964, at the end of the third session of the Second Vatican Council, Pope Paul VI proclaimed solemnly: Mary - Mater Ecclesiae, Mother of Christ and of his mystic Body (the Church). 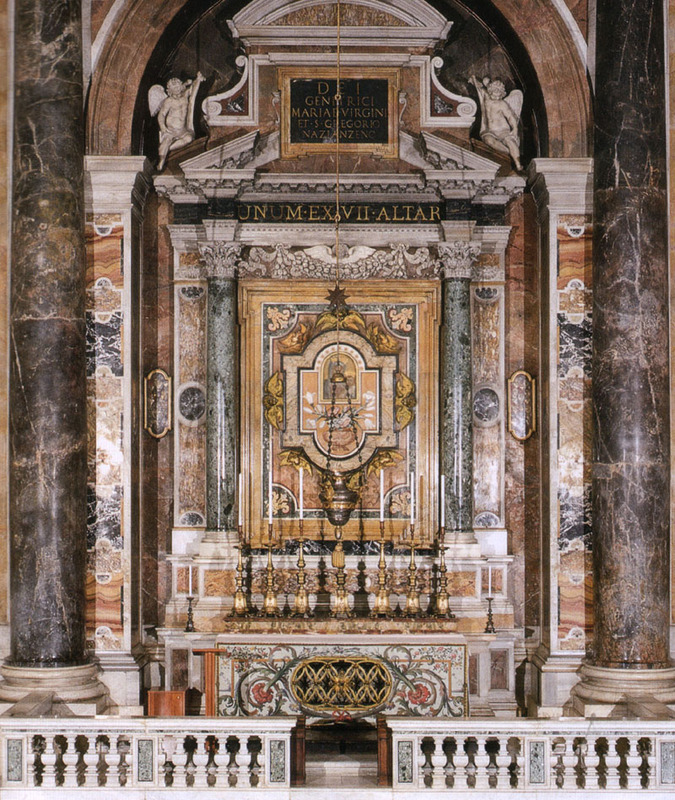 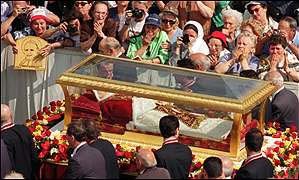 Below the altar, in a 4th century Christian sarcophagus with the images of Christ and the Apostles, lay the remains of the holy Popes Leo II, III, IV, gathered by Pope Paschal II (1099-1118) and once kept with the remains of Leo the Great in an oratory of the ancient Basilica.